Thanks to my friend, Staci Pope in Austin, for sending me this link to KUT radio in Austin which interviewed the fabulous Wainwright yesterday. 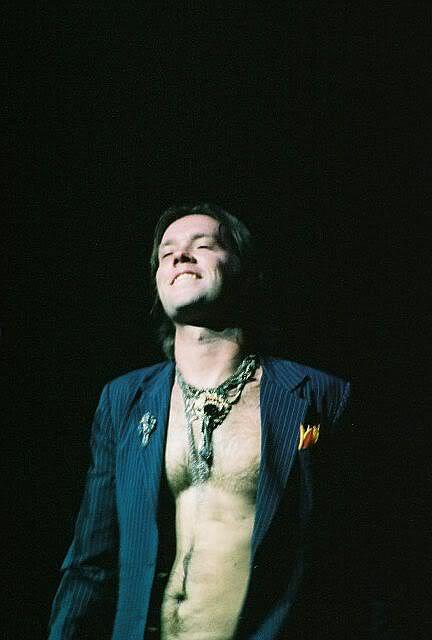 I love Rufus Wainwright. He is one of the most intelligent and gifted songwriters/composers. And his voice makes me tremble. He can go from a very deep rumbling base that shivers your timbers to a wail that can break your heart. Rufus shares one of my own passions: Judy Garland. I won't go into that just yet. He was interviewed yesterday on Austin's KUT radio station and it is a wonderful interview with three song performances. 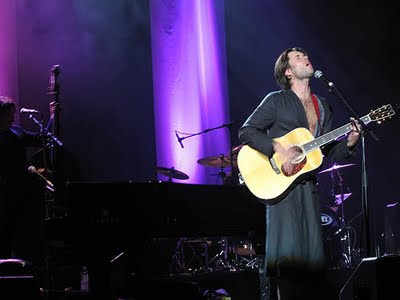 Rufus Wainwright, son of folk singers Loudon Wainwright III and Kate McGarrigle, has established himself as a songwriter of his generation. He’s an artist with great reverence for the masters before him. He’s captivated fans with his original works, crossing the genres of rock, pop, and opera (Prima Donna premiered at the Manchester International Festival in July 2009 and will make its North American debut in Toronto at the Luminato Festival next summer), and his exceptional tributes covering the songs of his personal favorites, such as Judy Garland. You can catch his live performance on Eklektikos with John Aielli right here. The interview is 25 minutes long but I encourage you to listen to it in its entirety. You too will see how exceptionally bright this boy is and how gifted musically. And stay tuned to the end because the very best and most moving of the performances is the last song he sings. CLICK HERE to got to KUT website and then play the recorded interview under "Attached Files"
See my previous posting with Rufus covering Leonard Cohen's Hallelujah. Click here.